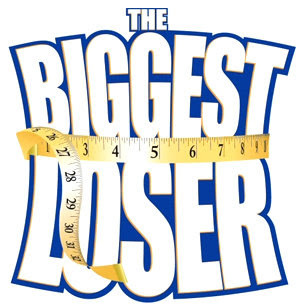 It is for no reason that The Biggest Loser is one of the more popular reality tv shows in recent years. It has even taken off internationally - The Biggest Loser Asia is set to broadcast around Asian cities in a few days. There is something inspiring (and hypnotic) about watching a fat person work out hard, change the bad eating habits and lose weight. If they can do it, why not us too? And that is what draws us to watch The Biggest Loser - the possibility that if we worked out hard and changed our eating habits too, we'd lose those extra pounds. Hey, he's 350 pounds and he lost 125 pounds - so why not us too? I guess those of us who have been following updates with the Biggest Losers winner, today's New York Times article would not come as a shock. Still, there are many who found it shocking to read that first season's winner, Ryan C. Benson, had regained all the weight he had lost at the show. To make it sadder, we also read about what he had to do to lose all that weight. He has publicly admitted that he dropped some of the weight by fasting and dehydrating himself to the point that he was urinating blood. He had done this just before the weigh-in that saw him win the prize money. Kinda of a downer. Ryan Benson's weight gain after the Biggest Loser only underscores the point that is not simply shedding the pounds that matter. It is about cultivating a lifestyle that you can live with for the rest of your lives. Working out 6 hours a day like the contestants on the Biggest Loser is an unrealistic thing to do, and certainly, unsustainable. That not all of the Biggest Loser winners have regained their excess pounds is testimony to their determination to keep it off. But for most of us, the key is to develop a realistic goal, undergo a gradual transformation of your unhealthy daily habits into healthy habits, and keep at it forever. That's real life. LOS ANGELES — When more than 40 former contestants from “The Biggest Loser” gather Wednesday for a reunion television special, the winner of the program’s first season, Ryan C. Benson, who lost 122 of his 330-pound starting weight, will be absent. Mr. Benson is now back above 300 pounds but he thinks he has been shunned by the show because he publicly admitted that he dropped some of the weight by fasting and dehydrating himself to the point that he was urinating blood. Now in its eighth season, “The Biggest Loser” is one of NBC’s most-watched prime-time programs besides football, drawing an estimated 10 million viewers each week, according to Nielsen. It has clearly tapped into the American obsession with losing weight, as more than 200,000 people a year submit audition videotapes or attend open casting calls for the program. It also has spawned a licensed merchandise business that will generate an estimated $100 million this year. The series also highlights the difference between the pursuit of engaging television and the sometimes frenzied efforts of contestants to win, perhaps at the risk of their own health. Doctors, nutritionists and physiologists not affiliated with “The Biggest Loser” express doubt about the program’s regimen of severe caloric restriction and up to six hours a day of strenuous exercise, which cause contestants to sometimes lose more than 15 pounds a week. At least one other contestant has confessed to using dangerous weight-loss techniques, including self-induced dehydration. On the first episode of the current season, two contestants were sent to the hospital, one by airlift after collapsing from heat stroke during a one-mile race. New contestants are entering the show more out of shape. Each of the last two seasons has broken the record for the heaviest contestant ever, at 454 and 476 pounds. Medical professionals generally advise against losing more than about two pounds a week. Rapid weight loss can cause many medical problems, including a weakening of the heart muscle, irregular heartbeat and dangerous reductions in potassium and electrolytes. “I’m waiting for the first person to have a heart attack,” said Dr. Charles Burant, a professor of internal medicine at the University of Michigan Health System director of the Michigan Metabolomics and Obesity Center. Dr. Rob Huizenga, the medical consultant to “The Biggest Loser” and an associate clinical professor of medicine at U.C.L.A., said that the program was safe. “This is not only a major amount of weight loss, it is a totally different kind of weight loss compared with surgery or starvation diets,” he said. In interviews, the show’s trainers and producers acknowledge that unsafe practices can occur. “If we had it to do over, we wouldn’t do it,” Dr. Huizenga said of the recent one-mile race that resulted in hospitalizations. “It was an unexpected complication and we’re going to do better,” he said, adding that “that challenge has changed a lot of the way we do things,” including more closely monitoring contestants’ body temperatures during exercise. Some contestants have claimed that dangerous weight loss techniques were common among contestants. Kai Hibbard, who lost 118 pounds and finished as the runner-up in Season 3, has written on her MySpace blog and elsewhere that she and other contestants would drink as little water as possible in the 24 hours before a weigh-in. When the cameras were off, she said, contestants would work out in as much clothing as possible. Ms. Hibbard, who weighed 144 pounds at the show’s finale, wrote that she added 31 pounds in two weeks, most of it simply by drinking water. That experience is not isolated. Including Mr. Benson, the winners of the first four seasons of the show each have added at least 20 percent to their weight at the end of the show. Contestants are required to sign releases that stand out even in the waiver-intensive world of reality television. Getting contestants to talk openly about the environment of the program is difficult. Shortly after a reporter started contacting former contestants to interview them about their experiences, a talent producer on the series sent an e-mail message to many former contestants reminding them that “serious consequences” could ensue if they ever talked to a reporter without the show’s permission. To do so could subject them to a fine of $100,000 or $1 million, depending on the timing of the interview, according to the e-mail message, which was obtained by The New York Times. The show’s producers did provide an opportunity to interview several former contestants, but the interviews were conducted with an NBC publicist listening in. Ms. Michaels and Bob Harper, the other trainer, as well as Mr. Roth all say that at least half of the contestants stay close to the weight levels they achieve on the show for several years. Exercise and healthy eating must be developed in our lifestyle. We should maintain these and we should not get back to our old habits again.